The engine control module (ECM) on your Toyota Camry uses a number of sensors to operate the injectors on the fuel system. The oxygen sensor contributes to this operation by monitoring the exhaust stream coming out of the engine, a critical task for engine efficiency and emission control. When problems develop in your oxygen sensor, you will notice an increase in fuel consumption and a decrease in engine performance. Here are some other facts you should know about this ECM component. Depending on the particular year and engine model, your Camry may use one, two or more oxygen sensors. These are located along the exhaust system assembly. The first oxygen sensor is usually mounted on the front section of the front exhaust pipe and the second sensor is mounted on the rear of the front exhaust pipe. If you have more than two of these sensors, it is likely the third unit is located on the back pipe, right after the catalytic converter. 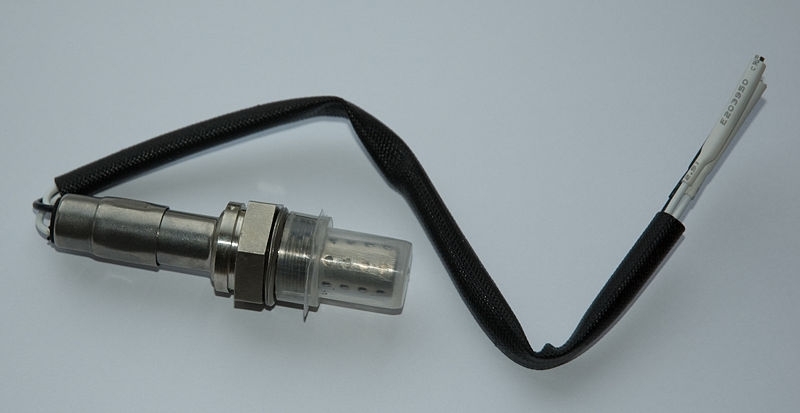 The heated oxygen sensor is used to monitor the amount of oxygen in the exhaust stream going through the exhaust pipe and report this information to the vehicle computer. The computer then uses this information and data from other sensors to regulate the amount of fuel/air going into the combustion chamber according to the engine conditions, speed and load for better performance and minimum of emissions. Your Toyota Camry oxygen sensor is a small unit with a cylindrical body; it's about the size of a spark plug. This heated sensor is equipped with three tail wires. On average, an oxygen sensor has a service life of about 50,000 miles, but heated sensors like the one on your vehicle model may last up to 100,000 miles. 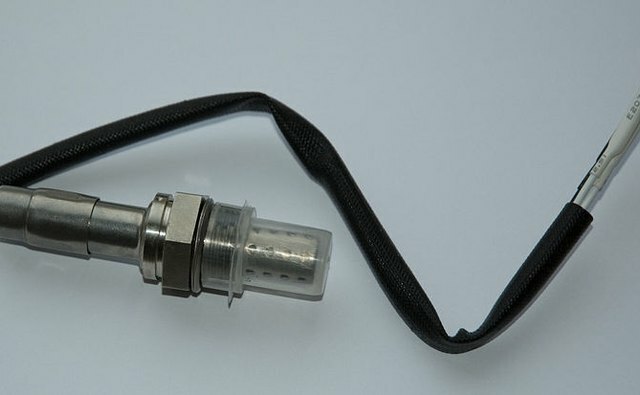 There are several reasons the oxygen sensor on your Toyota may go bad: silicone in antifreeze, RTV sealer, and gasoline additives and carbon that results from rich mixtures of fuel that coat and disable the active elements in the sensor; bad electrical connections and shorts; and end of service life. In most cases, you will notice about a 10 percent or more increase in fuel consumption as a result. The threads on the oxygen sensor tend to stick to the exhaust manifold over time, making it difficult to remove. In this case, it is necessary to use penetrating oil, a line wrench or six-point oxygen sensor socket to remove it. This will avoid costly repairs if the threads in the exhaust pipe become damaged.